The Ridley Scott film All the Money in the World very publicly went through significant reshoots when sexual assault allegations were leveled against Kevin Spacey, one of the film’s stars. 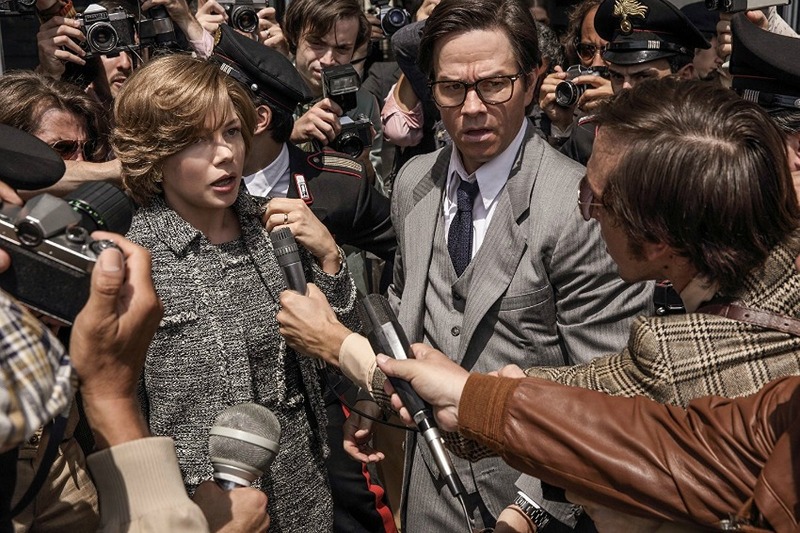 The reshoots involved recasting Spacey’s role with Christopher Plummer, and getting the cast back, specifically stars Michelle Williams and Mark Wahlberg, on location in Italy to film the reworked scenes. It was a huge endeavor, happening just weeks prior to release, to ensure the film wasn’t dragged into the mire of Spacey’s tarnished reputation. In order to make the reshoots work, the cast had to take a serious pay cut for the additional 10-day shoot. Michelle Williams offered to reshoot her part for free. As USA Today reports, she was willing to do whatever it took to make the film happen, even give up her Thanksgiving holiday, since she was appreciative of the efforts the producers took to remove an accused predator from their film. According to reports, she was paid for her work, but she made about $80 bucks a day for her time. Her co-star Mark Wahlberg, on the other hand, was not quite as generous. Despite the studio telling actors that the payment for the reshoots would be smaller, Wahlberg demanded and received about $2 million for 10 days’ work. For a film that cost about 10 million to shoot, that salary disparity is shocking. The story was first brought to light in November by The Washington Post, but a tweet from Jessica Chastain has re-ignited it. While initial reports from Ridley Scott said both Williams and Wahlberg “came in free” to shoot their scenes opposite Christopher Plummer, the Washington Post article directly refutes that. Michelle Williams came in free, but Wahlberg certainly did not. Of course, Wahlberg has a reputation for asking for huge salaries, as Indiewire reports. And while the studio was obviously backed into a corner when it came to Wahlberg’s reshoot salary demands, it’s unsettling to see the small amount the studio was willing to cough up for Michelle Williams’s performance compared to Wahlberg’s $2 million. It was commendable for Ridley Scott to remove Kevin Spacey from his film, no question, and such a big change so close to release had to be a nightmare to sort out. However, this enormous pay gap between the film’s male and female stars makes the entire effort feel like one step forward, two steps back.